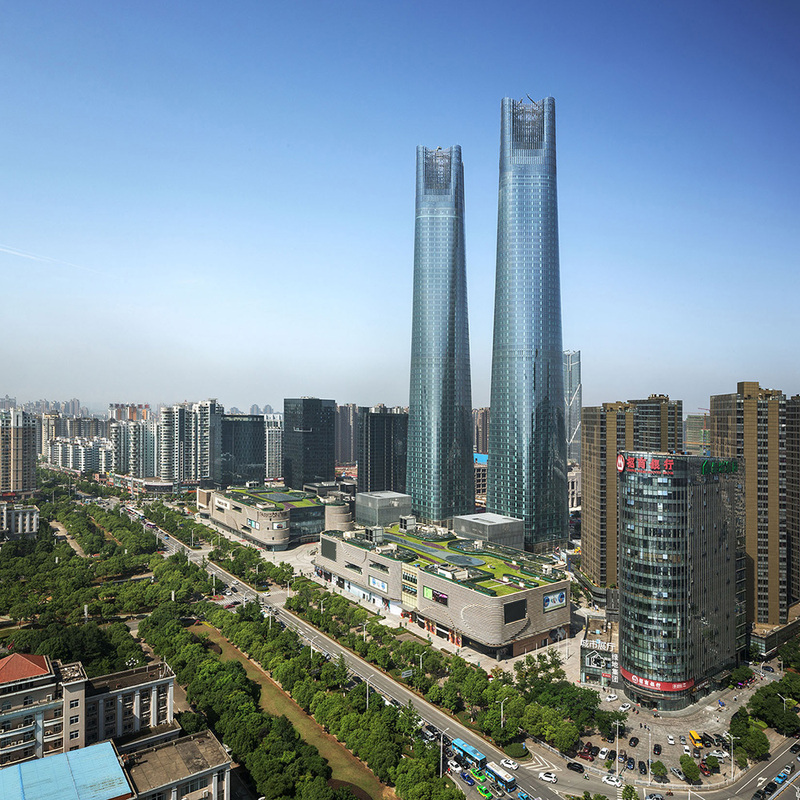 Twin towers anchor the Jiangxi Nanchang Greenland Central Plaza, Parcel A project. 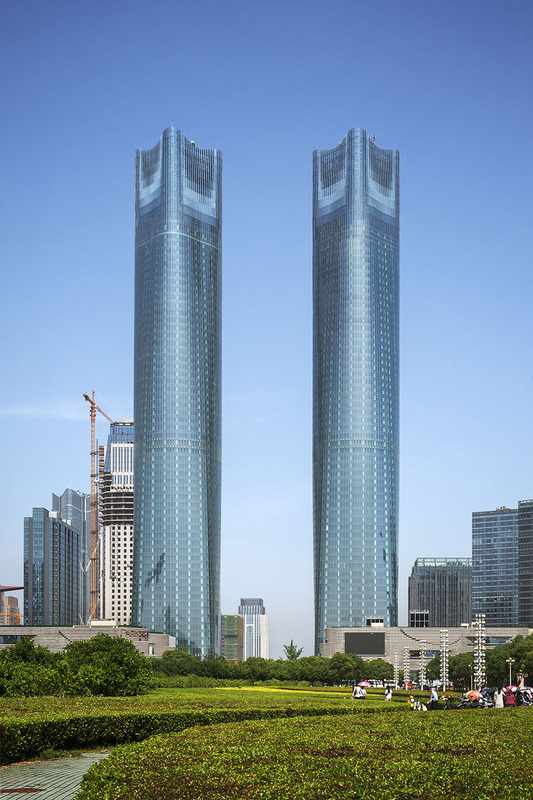 The identical towers, which stand 303m tall and 100m apart, are the tallest buildings in Nanchang and create a striking statement on the city’s developing skyline. 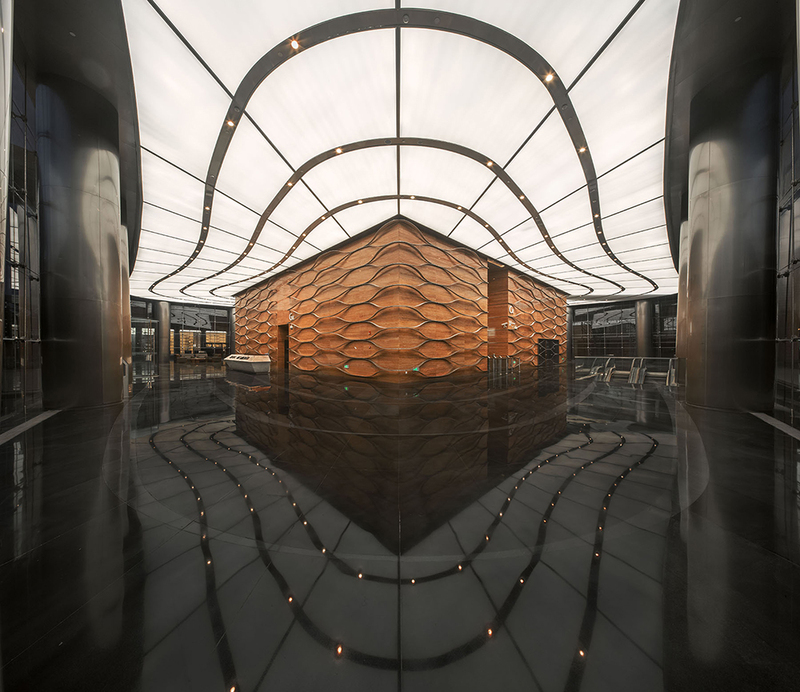 To achieve their organic shape, the towers’ square footprints parallel the street and rotate 45 degrees as they rise; this scheme was executed using parametric design, and has the added functional benefit of optimizing access at grade and aligning office space to the Ganjiang River. The towers’ twisting frames are finished in cold-bent glass: each glass panel has been bent as much as 1.5 percent out of plane to achieve a consistent reflective, luminous appearance. A freestanding canopy employing a complex cable-net support system foots each tower. Both skyscrapers also feature crowns of precisely spaced and angled glass panels. The design of this uppermost feature maximizes permeability in the prevailing wind direction. The design team conducted extensive research to determine how far to push each panel out of plane in order to ensure long-term durability and architectural soundness of the panels and their sealants. Both skyscrapers also feature crowns of precisely spaced and angled glass panels. The design of this uppermost feature maximizes permeability in the prevailing wind direction, to minimize wind loading at the base of the towers. Meanwhile, the panels appear most dense in the dominant visual direction, making the towers seem as if they are dissolving into the horizon. 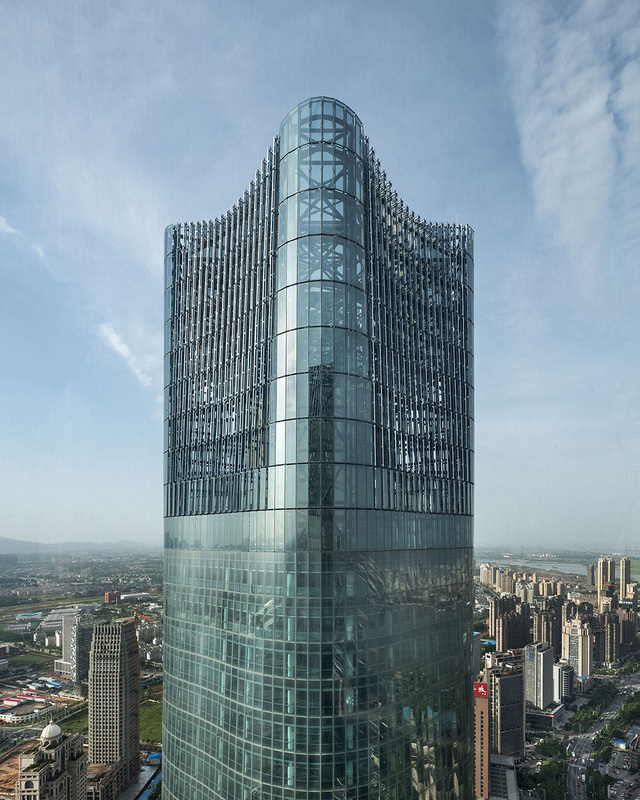 Completed in 2015, the landmark skyscrapers are anchor an emerging business, civic, and residential zone in Nanchang’s booming new city.